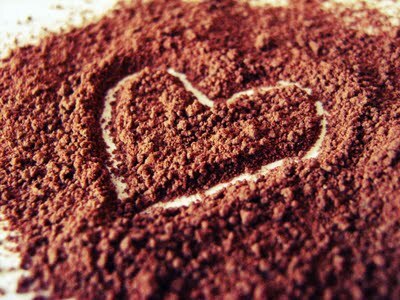 I can’t let February slip past without mentioning chocolate–that delicious product so many of us crave love! Over the past few years, some interesting research has popped up that gives preggies a chance to feel a little less guilty when they indulge a bit. 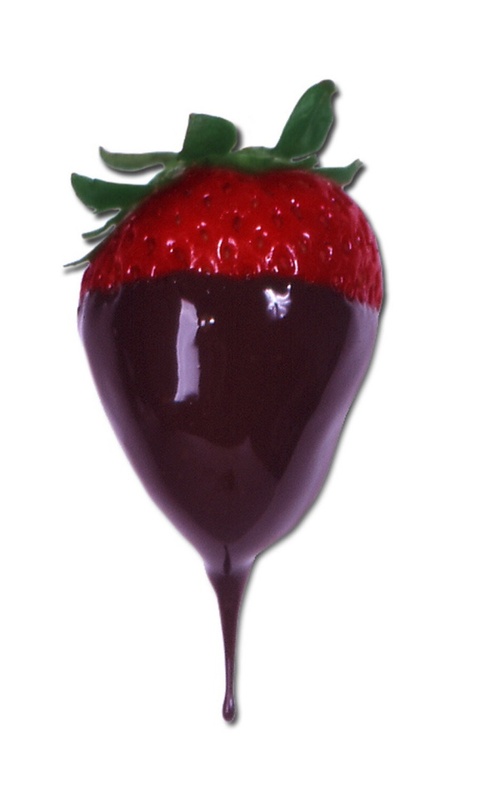 These early studies show that eating dark chocolate during pregnancy may help reduce the risk of pre-eclampsia. 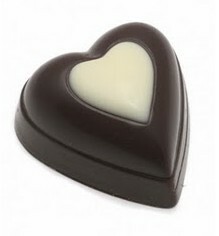 Dark chocolate has a natural chemical in it called theobromine. That chemical can help dilate blood vessels, which in turn helps lower blood pressure. Since one manifestation of pre-eclampsia is hypertension, lowering the blood pressure in this way might be a good thing for some preggies. A group of Yale researchers interviewed over 2,000 women who had recently given birth and asked them how much chocolate they had eaten during their 1st & 3rd trimesters. They also checked the theobromine levels in the cord blood of their newborns.The babies with the highest levels of theobromine were almost 70% less likely to have moms who had pre-eclampsia. 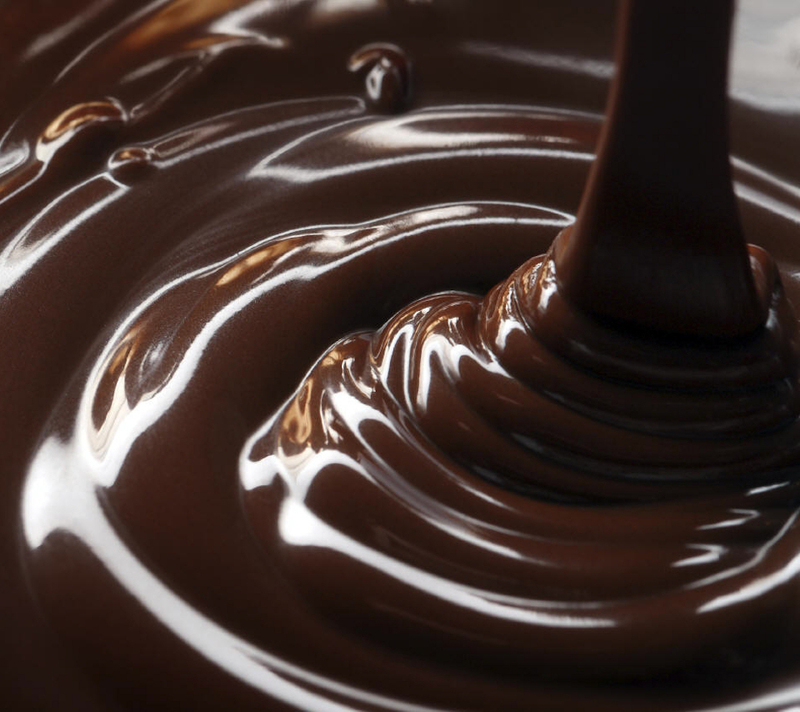 Preggies who ate dark chocolate at least 5 x a week had about a 40% advantage in not getting pre-eclampsia over the pregnant women who only ate chocolate less than once a week. 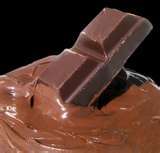 Although that study was somewhat subjective in that the actual amounts of chocolate consumed could not be verified, there was enough interesting evidence to include the results in scientific journals and promote future study. It’s important to eat healthy, nutritious food while you are pregnant, but as long as you use chocolate as a little treat (and the darker, the better), offering to be a part of this scientific research project can’t be all bad! So here’s to indulging your dark side! P.S. 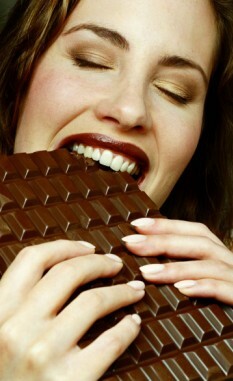 The lady in the photo is not our example of how much chocolate is acceptable. Ha!